It’s been an interesting year. From the disappearance of Malaysia flight 370 to the Ebola outbreak and many other poignant news stories, those compiling this year’s lists of highlights and countdowns have their work cutout for them. Since I’ve never done a list of highlights on this blog before but I always catch myself reading those that I come across, I thought I would give it try – for my recipe posts, not news events of course (I have no business discussing those). So I went back and reviewed the roughly 30 recipe posts of 2014 and picked my favorite 5 recipes, almost exclusively based on taste. Yes, pretty photos and writing are important but what we really want is a darn tasty recipe, right? Striped Bass Plaki on Edible East End – a story about my grandmother’s amazing whole striped bass dish made with local Eastern Long Island seafood. Linzer Torte on Edible Manhattan (featured in the Holiday Issue) – holiday memories surrounding my grandmother, Paula Peck’s, festive cocoa scented Linzer Torte Recipe. I also had the honor of participating in the research for “1000 Foods to Eat Before You Die,” by Mimi Sheraton – just recently released and can be purchased on amazon (available in bookstores January 13th). It was such a pleasure to work with Mimi Sheraton, a good friend of my grandmother’s. 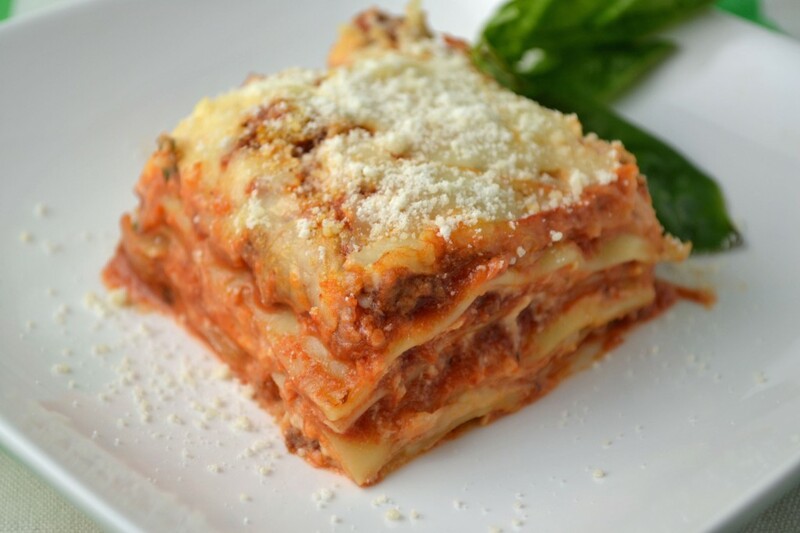 A classic lasagna recipe made with béchamel sauce instead of ricotta cheese. This will quickly become your favorite lasagna recipe and replace that tomato sauce-drenched version from the local mediocre Italian restaurant. 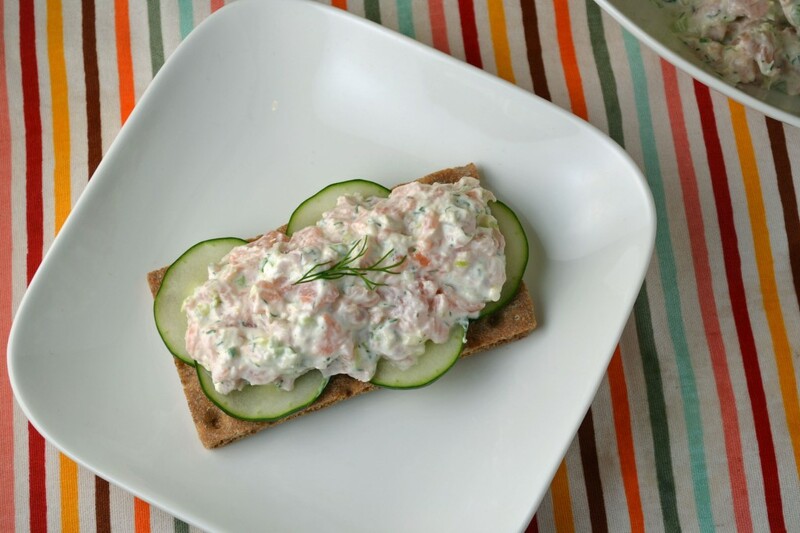 Horseradish, salmon, and dill add a freshness to this dip-like spread. Add a few slices of cucumbers for a refreshing crunch and this is the perfect light lunch or appetizer. 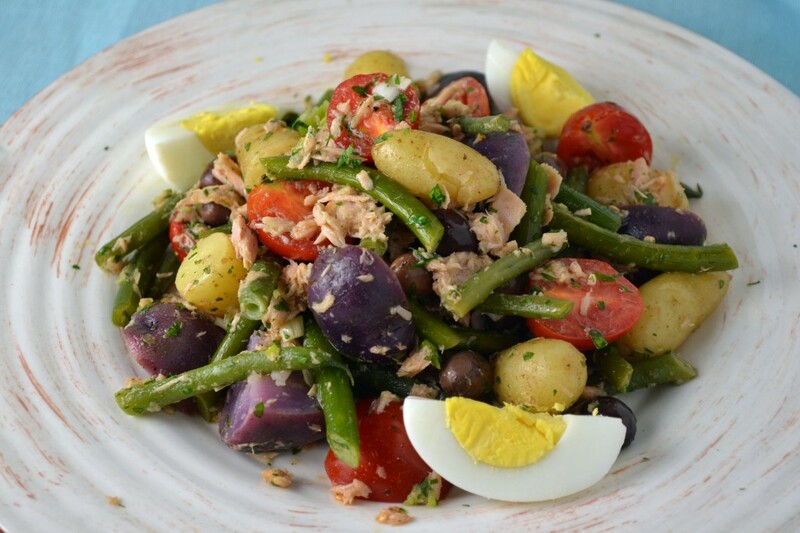 A salad nicoise that doesn’t follow any of the rules. Purple Peruvian potatoes, cherry tomatoes, and garlic scapes are added to make an amazing seasonal salad, exploding with flavor. 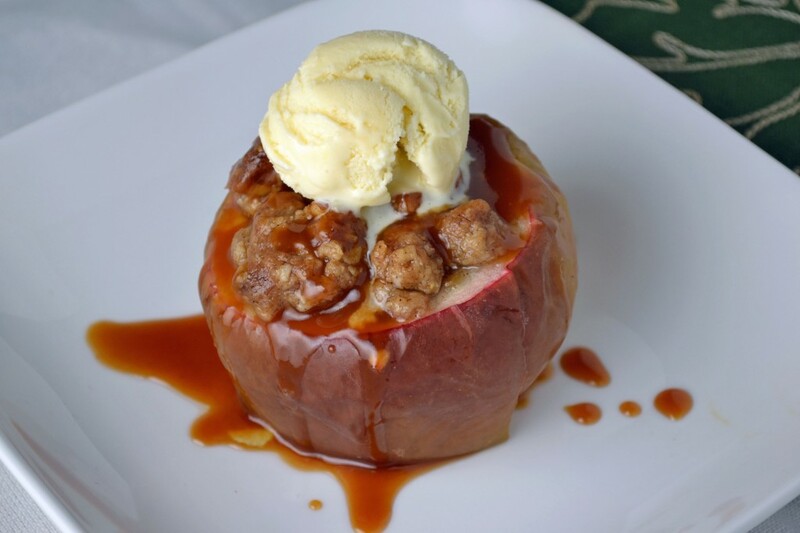 Baked apples are taken to a whole new level with this crisp stuffed version. Oats, sugar, butter, and cinnamon are stuffed into a whole apple then baked and topped with homemade caramel sauce and vanilla ice cream. Excessiveness never tasted so good. Lemon buttercream fills these spicy ginger almond sandwiches. 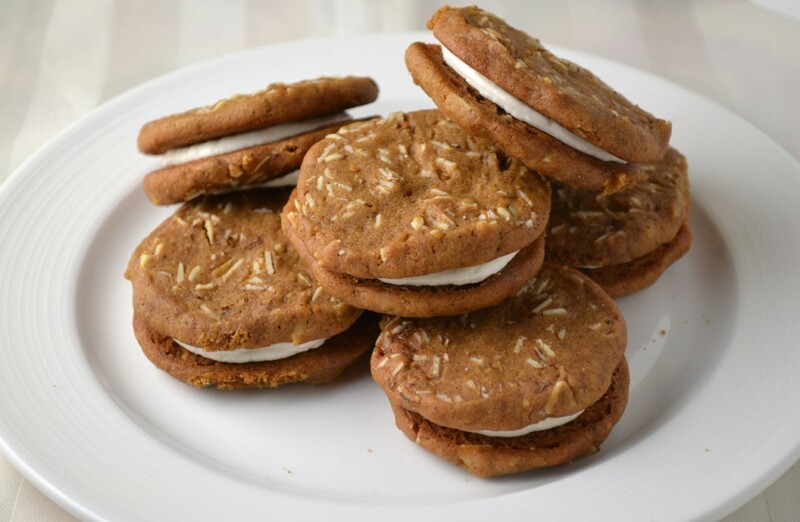 A Paula Peck cookie favorite turned into irresistible sandwiches that will disappear as fast as you can make them. Happy New Year and hope to see you all in 2015.